Catherine’s passion is transforming corporate culture by making customer-focus a driver of innovation and change. She leads Google’s Ads and Commerce design team where her group’s mission is to create world-class products and services for customers, partners and employees that drive adoption and loyalty. Her team is responsible for company-wide product design, training, information experience, and business process reinvention. Prior to DocuSign, Catherine held similar pioneering roles at Citrix, Salesforce.com and Oracle. Catherine co-authored the book “Understanding Your Users,” and is an active writer and speaker on creativity, innovation and design. She has been featured in Harvard Business Review, The Wall Street Journal, Fast Company, Huffington Post, and TEDx. 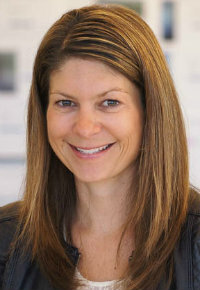 She has twice been selected by the Silicon Valley Business Journal – in 2011 as one of Silicon Valley’s tech leaders, and in 2013 as one of Silicon Valley’s 100 Most Influential Women. Also in 2013, Catherine made Forbes list of “Top 10 Rising Stars at The World’s Most Innovative Companies.” In 2014, the National Diversity Council named her one of the Top 50 Most Powerful Women in Technology. Catherine is a board member for the Fortune 500 company, Insight Enterprises, as well as the non-profits California College of the Arts and the Leukemia and Lymphoma Society. She also serves as an advisor for Wootric. She holds a Masters of Applied Sciences, specializing in Human Factors, from the University of Toronto and a Bachelor of Science from Memorial University of Newfoundland. When she’s not working, you’ll find her swimming, biking and running in preparation for her next triathlon. Catherine is a strong advocate of career advancement and a supporter of diversity in the workplace. She has particularly focused on mentoring women in the technology industry. As a senior executive and board member she strives to empower other women reach their potential. In recognition of this, in 2015 Citrix created the “Courage to WIN” award. This tribute is giving annually to a woman who exemplifies the ability to impact the success of others.